Amazon has added two more Alexa-enabled devices into its voice controlled product line. The two new comers are Amazon Tap and New Echo Dot. You can read our post about Echo Dot here. Since we have already known how to buy Kindle directly from US Amazon (read here), so getting Amazon Echo Tap to Singapore shouldn’t be any problem too. 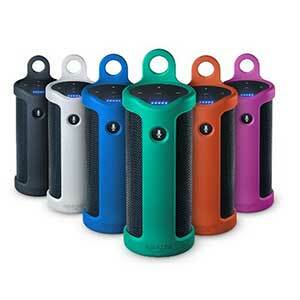 Amazon Tap is a portable speaker that comes with Alexa intelligence. If you are not sure what is Alexa? Alexa is the soul of Amazon Echo, the Amazon’s first original voice-controlled device that can interact with the user, it is like your personal digital assistant. When Amazon launched the original Echo, it has become a surprise hit for many people’s houses. Now they are releasing these Echo devices to invade the rest of places like the garage, office, bathroom, bedroom and now with Amazon Tap, Alexa will follow anywhere you go. The Amazon Echo Tap is a rechargeable portable speaker that can provide up to 9 hours of music playing on a single charge with its default wireless charging cradle, and give you up to 3 weeks standby time. It does not always need to be plugged into power source. Amazon Tap can be used everywhere within the range of any wife source which including your mobile phone hotspot. The Tap has all the features of what the original Amazon Echo can do like playing music, manage your to-do-list, check the weather, assist your shopping process and more. The only drawback is Amazon Tap won’t be able to continuously standby to listen to your command; this is to conserve its battery consumption. So you need to trigger the voice command by pressing the button on the side of the Amazon Tap. Amazon Tap is durable and comes in variety of colors. How much does Amazon Tap cost? Amazon Tap will be launched at US$129.99, and you always can click here to check its latest price. It is available for pre-order now and will be released by the end of March 2016. If you want to get Amazon Tap on US Amazon and have it ship to Singapore, you will need to package forwarder service, because the Amazon Tap is like other Kindle devices, they cannot be shipped directly from US Amazon to Singapore. Read here on how to use package forwarder to ship Kindle to Singapore. The buying process applies to Amazon Tap too. It looks like Amazon is slowly expanding the Alexa-enabled capability into many devices, previously they are integrating the Alexa onto the Fire TV, and now the portable speaker Amazon Tap. It won’t be surprised if one day in future, Amazon might incorporate Alexa onto Kindle and Kindle Fire range of devices. By then, you can speak to your reading devices or even have Alexa read for you on Kindle. No doubt Amazon Tap can be a cool gadget and your portable personal digital assistant. Click here to learn more about Amazon Echo Tap. Probably you will get one to Singapore. See the current deal on New Amazon Echo Tap Portable Speaker. 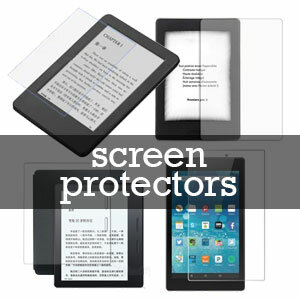 Google The best Singapore Kindle resources site! Subscribe to receive exciting news from us! Kindle with SpecialOffers or without?